Location: Downtown Parker Colorado area. 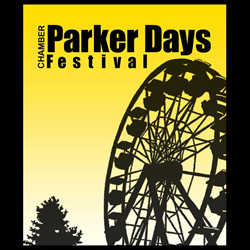 Parker Days is a celebration put on by the Parker Chamber of Commerce each year in Parker Colorado. As the premier annual event and family festival gathering in Parker, the event attracts more than 100,000 attendees each year. Parker Days features a huge carnival with rides for kids and adults, other great attractions, music with live bands, arts and crafts exhibitions, as well as an extensive food and beverage garden. Come and celebrate with Parker!